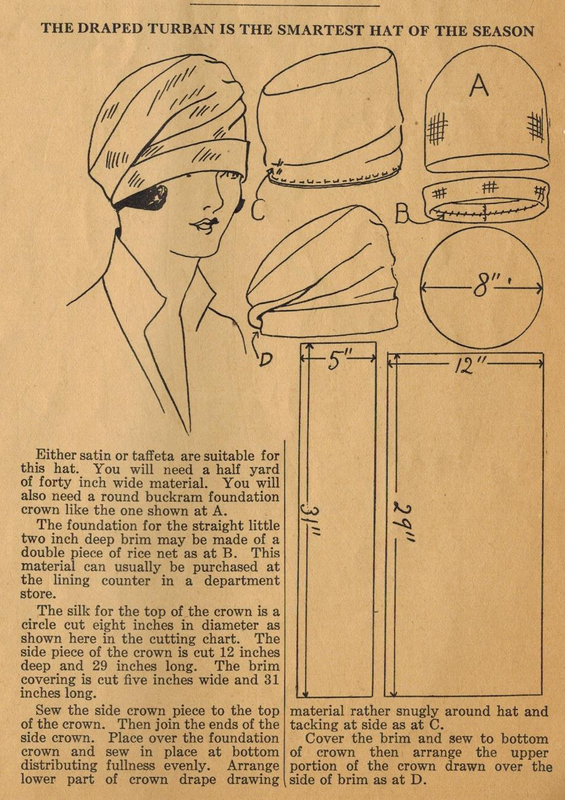 The Midvale Cottage Post: Home Sewing Tips from the 1920s - Sew Yourself a Draped Turban! Home Sewing Tips from the 1920s - Sew Yourself a Draped Turban! Need to switch it up from cloches? This tip from Ruth Wyeth Spears and the 1920s provides all that you need to know to create a chic draped turban. Satin or taffeta and a buckram foundation crown are what you will need. Ruth also mentions rice net, which the Vintage Fashion Guild says is synonymous with cape net. Neither of those exist today (that I could find). I looked at JoAnn's and while ordinary nylon net might work, I think their millinery netting fabric is a better match.